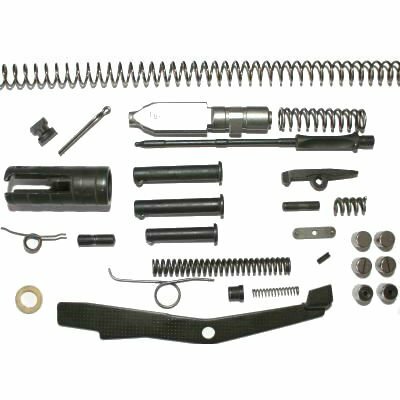 HK91/G3 deluxe survival kit with rollers. This will keep you up and running for years to come. 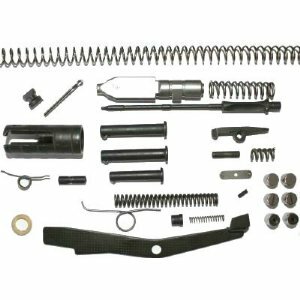 This deluxe kit contains as many new parts as possible including: rollers, locking piece, firing pin, spring for firing pin, extractor spring, ejector and more. Remaining parts in the deluxe kit will be our best hand picked surplus. A great deal on all the vital spares for your battle rifle! Product Review: Yes also great spares for your PTR32! Product Review: Great Kit Just What I Needed! "Will this HK91 SURVIVAL PACK - DELUXE - WITH ROLLERS work with a PTR PDW in .308 (HK91 type semi pistol)?" Product Review: Will this HK91 SURVIVAL PACK - DELUXE - WITH ROLLERS work with a PTR PDW in .308 (HK91 type semi pistol)? Thanks in advance from anyone who knows for sure. Even if just some of the parts will interchange. Thanks! NOTE FROM STAFF: YES THIS KIT IS PERFECT FOR THE PDW OR FULL SIZE 91. ALL OF THE PARTS WORK IN THE PDW! Product Review: Best set of spares out there- bar none. Super fast shipping. If you own a G3/CETME/PTR don’t hesitate to pick one of these sets up. Product Review: Awesome piece of kit, provides piece of mind. Fastest shipping I have ever seen, Buy with confidence.